Apple has made computing very easy by integrating some of the special functions of computer on mobile phones. The iPhone is a smartphone series made by Apple. These products are becoming increasingly popular that everybody boasts of owning one. There are several things that your iPhone can do for you, if you just have the right app for it. From multimedia applications to GPS tracking applications, there is barely anything you can’t find for your iPhone in terms of applications. 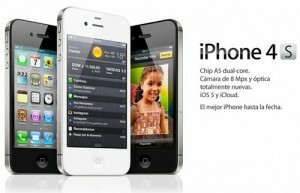 The new iPhone 4S released by Apple is a super smartphone. Just in a few days after the launch of the mobile phone, several million copies have been ordered online and ISPs like AT&T have made more sales than ever from it. But this iPhone 4S might only look more interesting if you have some apps that can make your iPhone 4S livelier. There is thrill in playing game on an iPhone. 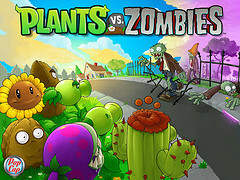 But, I’ve not been as thrilled as I was when I first played Plants vs. Zombies on an iPhone 4S. I’ve always played the game on my laptop computer and it’s always fun. The truth is that everyone hates zombies, which justifies the reason you want to kill them. Install this game on your iPhone 4s and unleash your fury on these virtual zombies. But you have to be cautious when you start seeing the Michael Jackson Thriller dancers coming after you. iTunes Movie Trailer allows you to watch trailers of movies in HD. You don’t want to miss any new movie and want to remain up to date about latest films. This app has an interestingly slick interface. 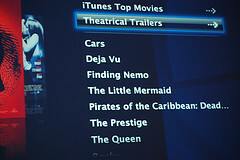 You can also see popular trailers from various categories. Isn’t it fun? 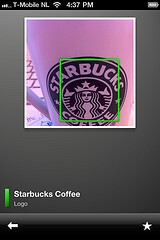 You can now get all the information about Starbucks from your iPhone, directly through this application. You don’t need to start looking up the internet for useful information on Starbucks again. Among the features of this application are store locator, food and beverage information and it also makes it easy for you to send gifts from Starbucks to your friend. It also has amazing features like mobile pay. You can load your virtual Starbucks card with funds and can also have your personal barcode scanned at the register. 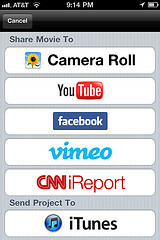 Edit your movies on iPhone 4S with iMovie. iMovie allows you to make good movies in minutes by allowing you to add pictures, clips and music to help you bring out masterpiece movies. iMovie is the one of the best tools for video editing. You can customize your video to your taste and likening. I think this is one of the most interesting apps for multimedia Apple has made for the iPhone. Back up your important files on the cloud with iCloud for iPhone. Once you have iCloud on your iPhone 4S, you don’t have to worry about losing your files. It has also helped me with my weight watchers discounts and edits coupon blog. It also makes it possible for you to have multiple backups for your special files. You can use you Mac, iPad and iPhone to backup the same file at a time, all secure and safe. 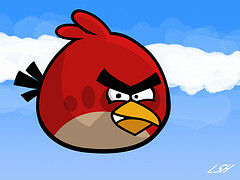 Angry bird is a very popular puzzle game. Take revenge for the birds by attacking the green pigs busy stealing their eggs. The birds are who you fight for, and they are your weapons, too. Angry birds looks perfect on iPhone 4S for the advanced player and is also challenging and along the line interesting for the new players. You love to make video calls, who doesn’t? Skype is arguably the best video calling application you’ll have around. 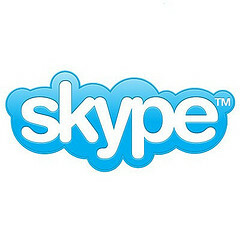 Make video calls directly from your iPhone 4S with Skype installed on it. Calling from Skype is also cheap. You probably have tried it on your previous iPhone series? Well, it’s going to be more fun with iPhone 4S since the new iPhone model has a better and higher camera power. Try out these apps on your iPhone 4S and come share your experience with us. You’ve tried them already? That’s great. Please share what you think about them with us. John Egdet is a tech enthusiast who writes about technology and cell phones. I think Skype is a must have for just about any device these days. 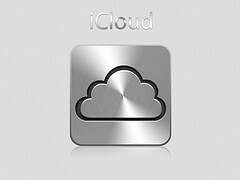 I also like the idea of having the iCloud on an iphone, it could come in very handy. If you need to transfer data from an older iPhone to a new one, use MobileMe first. Don’t upgrade to iCloud until you have all your data on the new phone. The data that is stored in the old MobileMe account will no longer work, so if your calender was a MobileMe one, it will not sync with iCloud until you’ve copied it to the regular calender. Those are great apps even if you don’t have an iphone. Thanks for the list John! My sister is planning to buy an iPhone 4S so I bet I could suggest her to install these applications you mentioned. I look forward to try these apps soon. I hope you could discuss some more.